We all heard about MCN and surely all heard about their annual successful shows organised throughout the year. Those who ever visited these shows will surely agree with me saying that they’re some of the best bike shows organised. This year they’re keeping us on the lookout for what is being said as a “Top Secret” bike launch. So, which is this most talked about bike that will be launched at this year’s Carole Nash MCN Motorcycle Show in London this February? * MCN is holding back in telling us which this large capacity machine will be. Other than that it must be some kind of beast, all we know is that this is from one of the world’s leading manufacturers! Intersting, right? 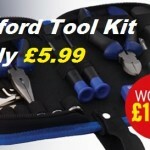 Make sure you’re there on Friday as this will be launched during the 1st day of the show. It will then remain on display throughout the remaining days of the show. Am sure the launching will be breath-taking. What’s On at this year’s show than, other than this Top Secret launch? Well, to start with, we’ll surely get a closer look at some of the latest machines from 14 of the world’s biggest manufacturers. Scooters, adventure bikes, superbikes, etc. Name it and you’ll have the pleasure to see them all under 1 roof. As at today, the confirmed manufacturers showcasing their latest models at this year’s event are Aprilia, BMW, Ducati, Honda, Indian, Kawasaki, KTM, Moto Guzzi, Piaggio, Suzuki, Triumph, Vespa, Victory and Yamaha. 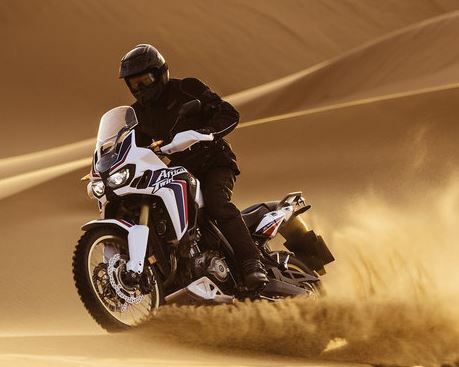 Some of the new bikes which will featured during the Carole Nash MCN Motorcycle Show in London this February will be Aprilia’s 2016 version of their RSV4, BMW’s G310R, Ducati’s 2016 Sixty2 Scrambler, Honda’s latest long-awaited addition, the CRF1000L Africa Twin, Indian’s and Victory’s collection of their 2016 cruisers, Kawasaki’s new ZX-10R, KTM’s 173bhp V-Twin 1290 Super Duke GT, Moto Guzzi’s V7 II Stornello, etc. etc. There’s surely something for everyone’s taste and pocket. The British Superbike Championship will be celebrating their 20th year and they plan to celebrate it in Excel with us all! Come and join in and meet some of the BSB stars together with the machines that made them so popular. Some of the machines on display will the Neil Hodgson’s GSE Ducati, Niall Mackenzie’s Cadbury Boost Yamaha and the ever famous John Reynolds’ 2004 Rizla Suzuki. They will, at some time throughout these days, challenge each other on the live action track for Slide. A tribute to TT legend Joey Dunlop, with a collection of road racing history bikes, helmets, etc . will surely complement the BSB collection. John Mc Guinness will be onsite too. Have some extra cash to spare? Make sure you’re at the show grounds on Saturday 13th February. 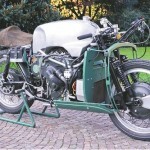 A number of historic motorcycles, brought over by Coys, will be lined up and ready to be auctioned. 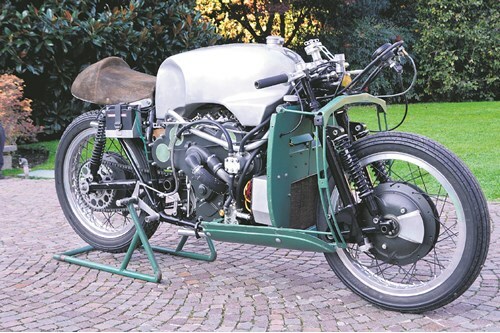 From over a 100 that will be available, what if I had to tell you there’s going to be the original 1978 Ducati 900SS and the Moto Guzzi 8c V8 replica? Surely a day to be there! Guess you all heard about Ian Coates, Sam Manicom, Graham Field, Gareth Jones, Sean Dillon, Sjaak Lucassen, Austin Vince & Spencer Conway, right? 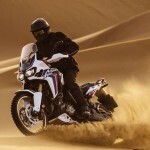 Yeah, they’re some of the most Inspirational Adventure riders who have seen the world on their bikes. They’ll be there at the show and will be interviewed on stage, giving advice to travellers and sharing their stories. If you’re looking at the idea to go for some adventure rides then make sure you’re on time for their interviews. Listen to their dos and don’ts and learn from those who passed from it already. What’s On at this year’s show is, like every year, never ending. We can’t mention all and this is why we urge you to visit the show. Definitely you won’t be disappointed. Before closing this article we can’t not mention the bargains one can find at this event. Those who have been to the show in previous years surely know that the opportunities and bargains one can get during such a show are never ending. What’s even nicer is that one can find all he / she wishes under 1 roof! 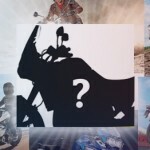 Looking for the bike of your dreams? Some clothing for the winter? Accessories? You’ll find this and other stuff on the show grounds. So, are we gonna see you there? Hope we will! 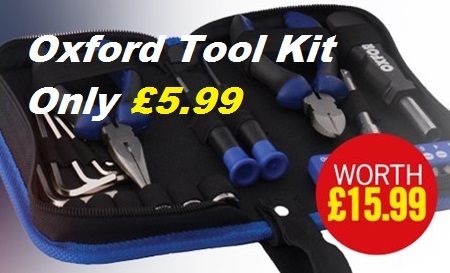 Tickets for the show can be booked in advance, on the organiser’s website, and at reduced rate but not all, one also has the chance to upgrade the ticket and get an Oxford Tool Kit for just £5.99, instead of the original price £15.99. Make sure you tick this option during checkout. Kit will be collected at the show. Enjoy! 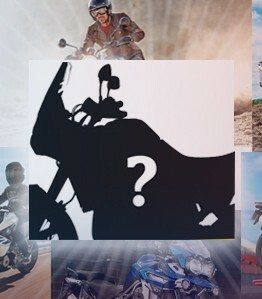 *We’re giving away a Versa Toob Headwear for the 1st person who will guess which bike is the “Top Secret” one that will be launched on Friday 12th at the Carole Nash Motorcycle Show in London. Answers should be left in the Comments section hereunder. To be eligible to get this item, it’s important to hit the “Like” button too. **ONLY those living on the Maltese Islands are eligible to play. It could be something like a Softail but between the Slim and Delux model. Special will be the price, not too much expensive.